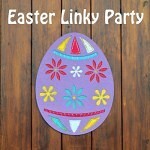 Here’s a pretty handmade memory game with an Easter eggs theme! I cut out two matching eggs from different colors of felt. Then sew together two parts: backside part is of the same colour in every pair, and face side is of any colour you choose. Choose the appropriate number of cards to adapt game for child of any age. Lay felt eggs face down on the table in front of you. Turn over any two cards at a time, looking for pairs. If you find a pair, you keep it and get another turn. See who can collect the most pairs! This game isn’t only for fun. It is designed to test your child’s concentration skills, as they will have to notice the colour of the eggs. G’day from Oz! 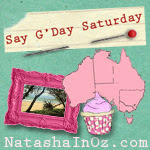 Many thanks for linking up to the Say G’Day Saturday link up and sharing this great idea. I’ve just pinned it! Dear Natasha! Thanks so much for the party and for stopping by!